You finally made your selection out of our trips, diving courses or dives. 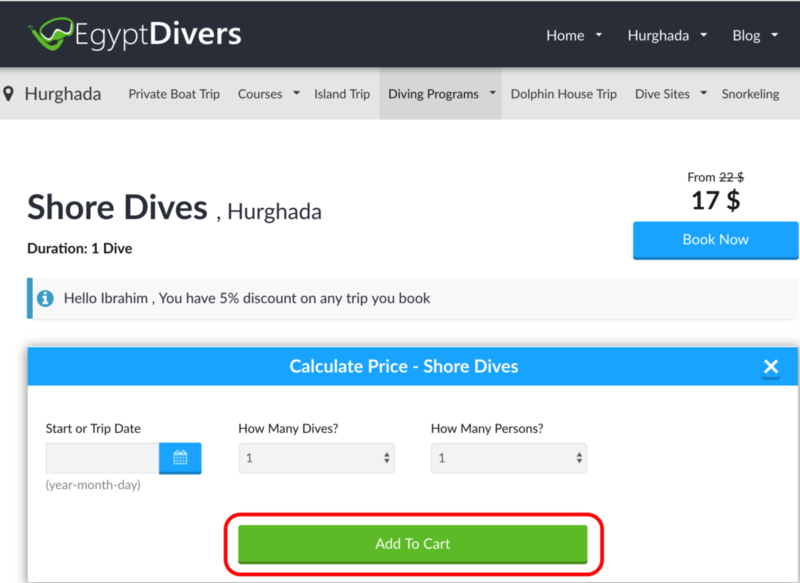 Booking with Egypt Divers is very easy and simple. 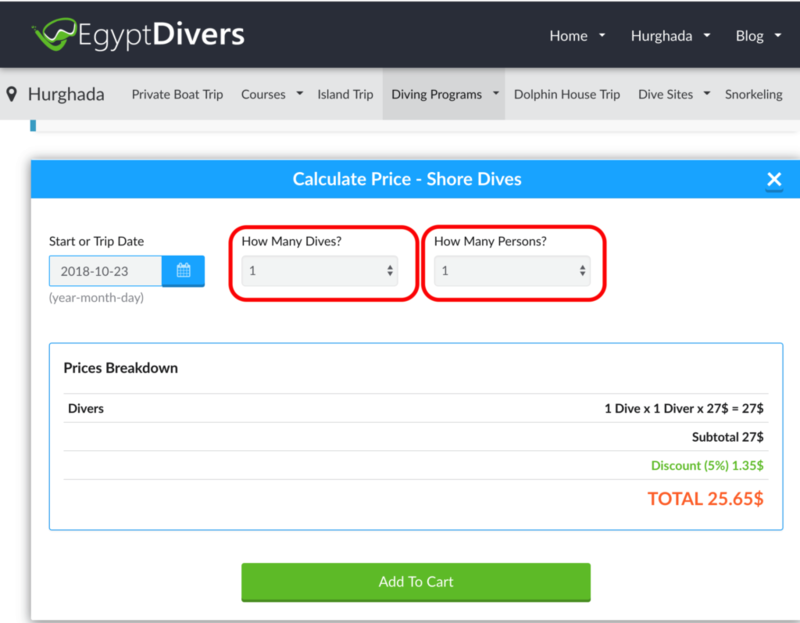 Select the trip, course or dive you want to book. grid just below the button. 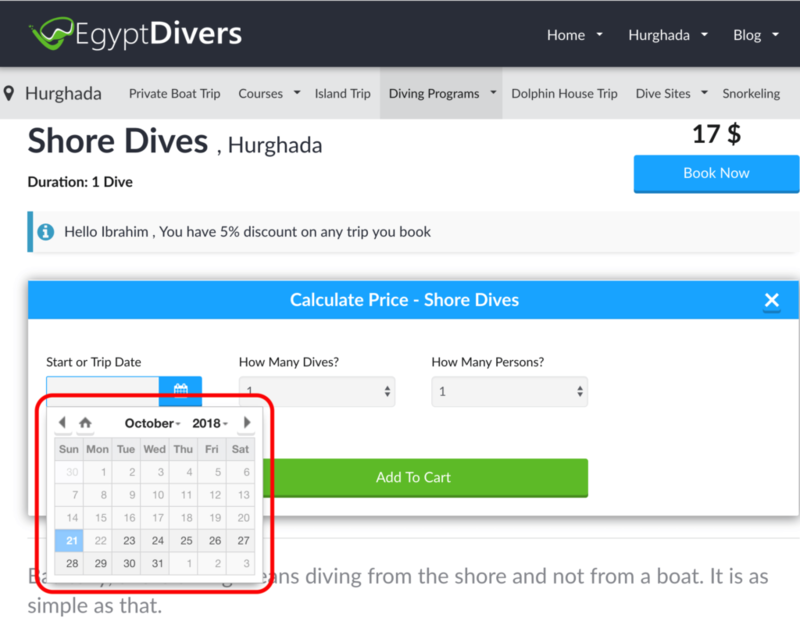 – Select the date you want to make the trip from the calendar. – Choose the number of days. – Fill in the number of adults, children and infants participating in the trip. Adult: any person older than 9 years. Child: any person from 3 years till 9 years. Infant: any person under the 3 years. before the cart will be emptied. – Fill in your first and last name. – Fill in the name of the hotel or the place where we have to pick you up. or if you have any requests, feel free to write them down. 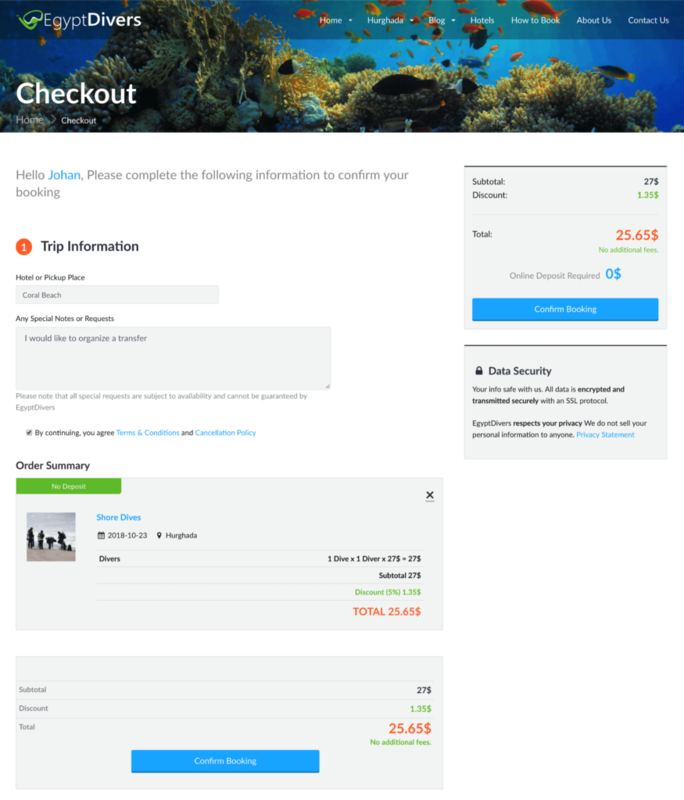 Below the order summary, click on the ‘Confirm Booking’ button. That’s it, we received your booking. We are looking forward to welcome you! See you soon!